The arts are a valuable part of the Puyallup School District. Exposing students to arts and culture can have a significant impact on their development. The success of the music programs and students in Puyallup stem from the dedicated and talented staff. This year the Puyallup School District is honored to have two teachers inducted into the Washington Music Educators Association (WMEA) Hall of Fame. Congratulations to Robin Blumenthal, band director at Kalles Junior High, and George Gunther, choir director at Puyallup High School. Blumenthal and Gunther are no novice teachers, together they have over 39 years of experience teaching in the district. As invested teachers, their talent and experience are a resource for colleagues and a positive influence for students. It was her elementary music teacher who inspired and encouraged Blumenthal to try instrumental music. She remembers her teacher coming to the house to talk to her parents about getting involved in band. “She believed in me,” says Blumenthal. Although money was tight for the family, her dad made sure she had one pair of drumsticks, which she still has. “The rest is a pure love and curiosity about music and the impact it had not only on me but all of my friends,” comments Blumenthal. 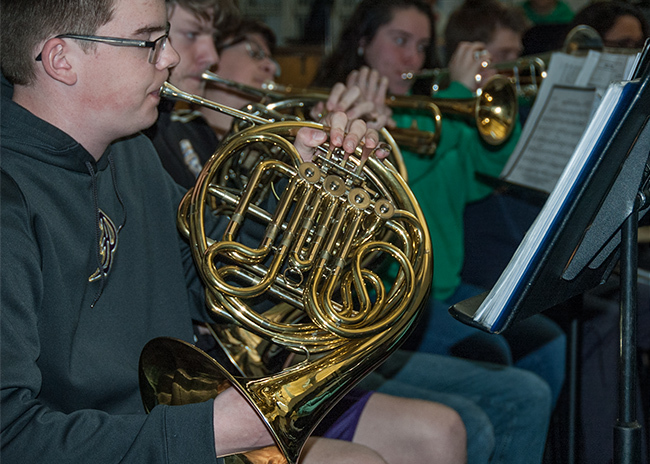 While working in Longview School District, Blumenthal first discovered the strength of the music programs in Puyallup when she attended a WMEA All-State Concert Hour. It was 1996, Blumenthal’s Mark Morris Percussion Ensemble was performing at the concert along with the Aylen Junior High Concert Choir and the Rogers High School Choir. “What a treat it was for all of us in Longview,” said Blumenthal. Hearing their strong performing groups, she became inspired to keep a “high expectation” bar for her students. When asked what she likes most about music Blumenthal replies, “I love the fact that music incorporates all of our senses. Guenther’s passion for music also started at an early age. Attending high school and playing the guitar in a rock band has been a dream for many kids since rock and roll was formed back in the late 1940’s and early 1950’s. For Guenther it was reality. The beginning of his music career started in the sixth grade when he picked up a guitar and began playing. By the time he was in high school, he was playing in rock bands and making money doing gigs at high school dances, colleges, and other venues. From then on, music became part of his life. 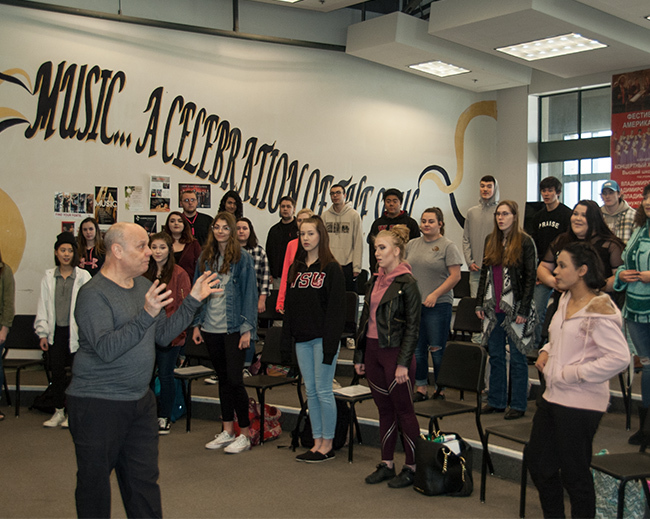 Guenther has dedicated over 20 years to teaching music to both junior high and high school students providing countless hours teaching, supporting, and encouraging young performers. The WMEA Hall of Fame award was established to recognize exceptional support, inspiration, and outstanding contribution to the growth and development of music in the state of Washington. Every two years WMEA honors a maximum of 10 members into the Hall of Fame. To be nominated and voted on by their peers is a unique honor. The district is proud to have accomplished artists who continue to honor the tradition of excellence in the arts while also igniting the passion of the arts in students.